During todays BlackBerry 10 launch conference of RIM (BlackBerry freshly renamed, simply as that) has presented its new flaship: BlackBerry Z10. Supposed to restart the company, the Z10 looks like a phone that put weight on the new features of the OS. BlackBerry Z10 has a 4.2 inch LCD screen with a resolution of 1280 x 768 pixels and a rate of 356 ppi. 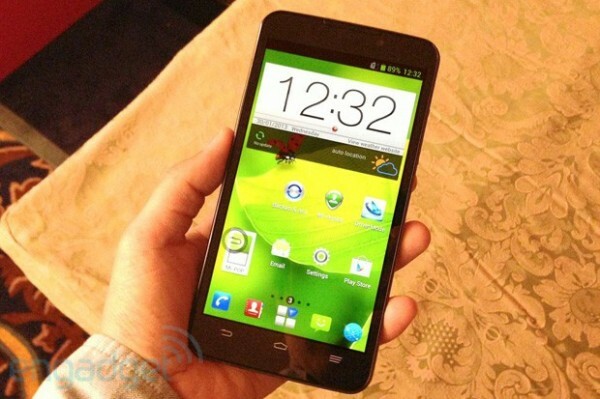 It is equipped with a dual-core processor clocked at 1.5 Ghz, 2 GB of RAM and 16 GB of storage expandable via micro SD. The Z10 have an 8 Megapixels rear camera, and a frontal 2 MP camera, Bluetooth 4.0, a 4G chip and NFC. As expected, BB10 focuses on social action and allows you to make a swipe by finger of emails to Facebook through your messaging via BlackBerry HUB. Everything is managed by a virtual keyboard that allows you to write fast enough through a system similar to Swype, which writes the words predictively. Similarly, BB10 seems perfectly manage multi-task, as promised no latency. 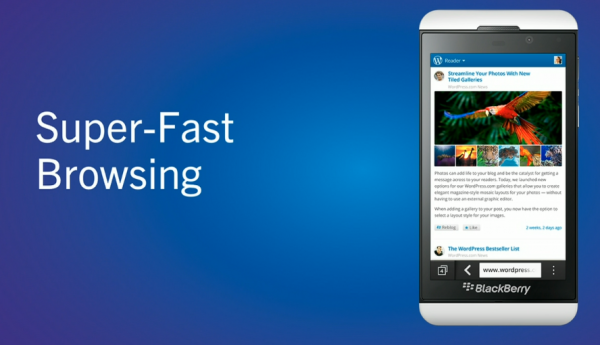 BlackBerry Z10 will also allow you to share your content easily. RIM unveiled its function Screenshare Z10. Classic video system, it also allows to instantly share your desktop, in order to benefit your partner your photos or to your applications. 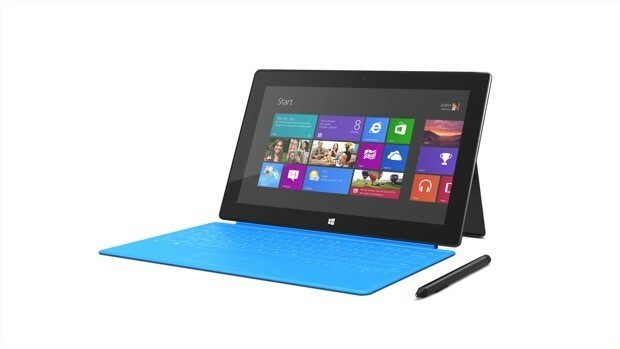 Full of little features that will help the user in his daily life. RIM introduced its smartphone filled with promise, therefore, that focuses more on the OS than on its hardware. RIM CEO Thorsten Heins just announced that Research in Motion is no longer known as “RIM,” and will be simply known as “BlackBerry” going forward. 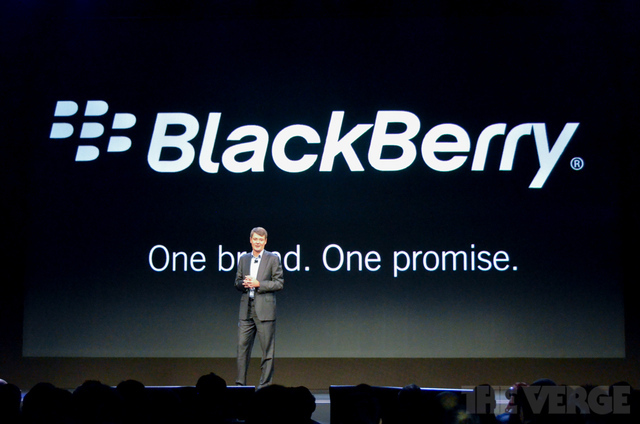 From now on you will be able to follow BlackBerry’s stock at NASDAQ:BBRY. Let’s hope this change, along with the new devices and OS will help bring the company back on its feet. Sin City 2 is awaited for by fans of comics by Frank Miller. After a very successful first film released in 2005, then became ‘Sin City’ sequel a long wait to finally be announced by the end of this year! While shooting is in progress, the central actress of the film had not yet been found. Since last night, things was done. And this is the French Eva Green who will play Ava Lord, the Lady of the subtitle of the film (A Dame to kill for). Oh fatal woman, Ava Lord will face his former lover Dwight McCarthy, played by Josh Brolin (Clive Owen in Sin City 1). A choice of actress that can greet as we imagine Eva Green cut for the role. Green had already distinguished in Kingdom of Heaven, Casino Royale or even Dark Shadows. Interestingly, it will also appear in another adaptation of Frank Miller’s comics: 300 Rise of an Empire. Hired another actress, Julia Garner, which will be included in the untold story held by the very popular Joseph Gordon-Levitt. A cast that is becoming increasingly so for a film that will arrive in October in theaters. White LG Nexus 4 leaked photo? While people are still struggling to get their hands on the current, black Nexus 4, it seems LG is secretly working on a white version of the device. Both the Nexus S and Galaxy Nexus were released in white variants, so it wouldn’t be too surprising if LG decides to follow suit with the Nexus 4. That may very well happen if an image provided to Phone Arena is any indication. 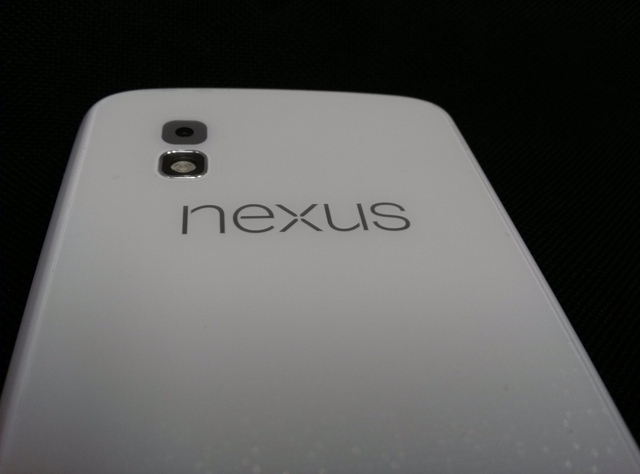 The photo reveals the backside of what’s purportedly the white Nexus 4. Other than the white casing, a chrome LED flash ring appears to be the only difference between it and the standard black model. The device’s unique holographic stipple pattern can be made out near the bottom, but it’s still hard to say whether we’re seeing the real deal here. It could easily be a custom third-party backplate, for example. Even so, EXIF data suggests the photo was taken by a Korean Optimus G, so it’s at least feasible that this could have been snapped by a sly LG employee. BlackBerry Z10 will hits UK on January 30th? We’re almost a matter of time before the unveiling of RIM’s new handsets, and the news keep heating the web. The Z10 is said to be Vodafone UK’s first “4G Ready” device — it will work with the carrier’s LTE network once it launches — and there will be a range of on-contract options that thankfully don’t require signing up for a special BlackBerry SOC plan. If you’re looking for no upfront cost, you’ll be paying £47 per month for 3GB of data and unlimited talk and text for 24 months. The cheapest monthly option, meanwhile, is a £25 plan with an upfront cost of £229 that includes 100MB of data, unlimited texts, and 100 minutes of talk. If you’re particularly smitten with the white version of the Z10 that we’ve seen, we’re told that it won’t be available until mid-February. We’ll have more information, including launch plans in other regions, when RIM announces the device officially in a couple of days. According to the verge they have received an ad from UK retailer Phones 4u that all but confirms the Z10’s imminent arrival. 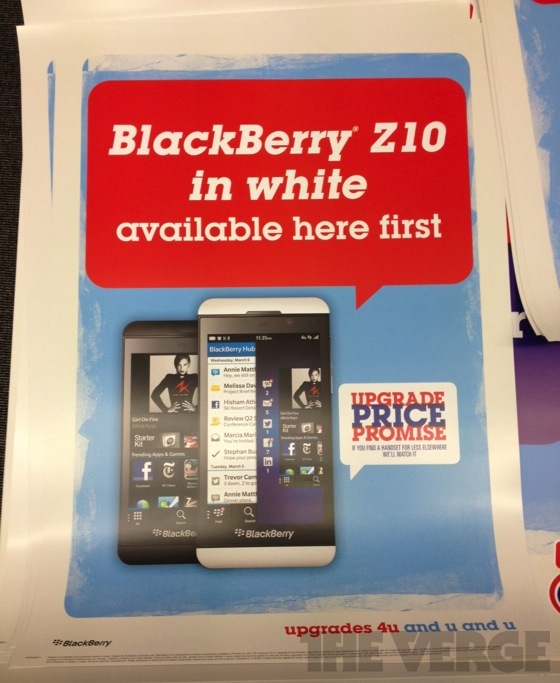 Additionally, it appears that Phones 4u will be offering first dibs on the white variant of BlackBerry’s latest handset.and they believes that the Z10 could be in stores by Thursday.